When you’ve had a long and stressful day, eating comfort foods, such as pizza and pasta, is a great way to cheer you up. Unfortunately, if you have celiac disease or gluten intolerance, it’s difficult to find comfort foods that meet your dietary needs. Most of the comfort foods that we know contain wheat, which you can’t eat. However, that doesn’t mean you can’t enjoy delicious food that will brighten your day. Benvenuto’s Italian Grill is a gluten-free restaurant in Madison that offers specially prepared pizza and pasta to accommodate your dietary restrictions. If your medical condition has prevented you from enjoying comfort foods for a long time, visit our gluten-free restaurant in Madison. At our gluten-free restaurant in Madison, we serve mouthwatering pizza made with fresh, high-quality ingredients. Here are some of the flavors you can order at our gluten-free restaurant in Madison. The Benvenuto pizza at our gluten-free restaurant in Madison is made with pepperoni, Italian sausage, bell peppers, and more. If you want to add more ingredients, you can customize your pizza with additional toppings as well. Our gluten-free restaurant in Madison serves Margherita pizza featuring a palate-pleasing combination of mozzarella, basil, tomatoes, and garlic. These ingredients are placed atop a crust that is brushed with olive oil. For veggie-lovers who want to eat at a gluten-free restaurant in Madison, order our veggie pizza. It’s made with marinara and your choice of four vegetables. Our gluten-free restaurant in Madison serves this pizza topped with a yummy layer of five kinds of cheese. Cheese-lovers looking for a gluten-free restaurant in Madison will enjoy our Formaggio pizza. It is made with five kinds of cheese on top of a savory layer of pizza sauce. The different types of cheese create a delightful symphony of flavors with every bite. When you visit our gluten-free restaurant in Madison, you can order different kinds of pasta that will tempt your taste buds. We’ve listed a few of the flavors that you can choose at our gluten-free restaurant in Madison. Our gluten-free restaurant in Madison serves bruschetta chicken pasta, which is made with gluten-free penne. It features an exquisite combination of grilled chicken, Italian sausage, and spicy red cream sauce. Savor the yummy portabella penne at our gluten-free restaurant in Madison. It’s made with sautéed portabella mushrooms, artichoke hearts, and fresh tomatoes. This pasta provides a vibrant chorus of flavors with every forkful. Visit our gluten-free restaurant in Madison to try this dish. If you love cheese, sample the cheese ravioli pasta at our gluten-free restaurant in Madison. It features a combination of ricotta, parmesan, and mozzarella. Instead of wheat pasta, it’s made with brown rice and egg pasta. At our gluten-free restaurant in Madison, you can choose to add marinara or garlic butter. Sink your teeth into the shrimp penne at our gluten-free restaurant in Madison. It’s a simple but delicious dish that individuals who are looking for a gluten-free restaurant in Madison can enjoy. It’s made with shrimp tossed in garlic butter and gluten-free penne pasta. 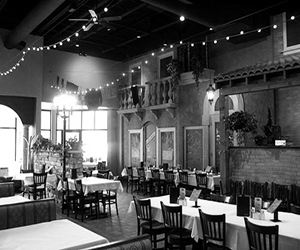 When you’re craving your favorite comfort food, dine at Benvenuto’s Italian Grill, a gluten-free restaurant in Madison. Our gluten-friendly menu features a wide range of dishes that suit your dietary needs. At our gluten-free restaurant in Madison, you can order pizza and pasta, which are classic comfort foods, as well as other dishes. To learn more about our gluten-free restaurant in Madison, contact us today.